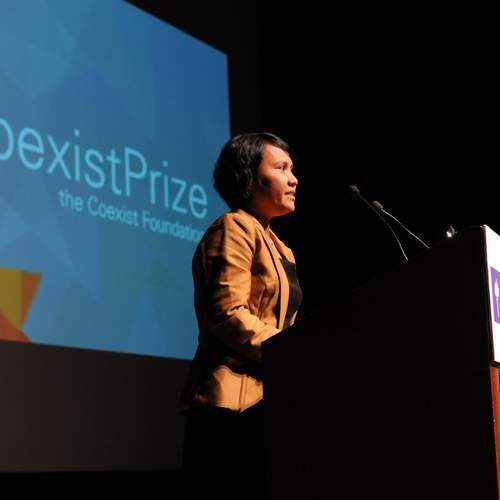 The Coexist Foundation is sponsoring several events at this year’s Cheltenham Literature Festival and have sold well over 3,000 tickets. We have heard the world famous historian Professor Diarmaid MacCulloch talk about “The Christian History of Silence,” discussed “Religion Without God,” and debated what happens in the afterlife. The audiences have been packed and really engaged with the subjects, asking penetrating questions on the various topics. The highlight so far was the arrival of the former Grand Mufti of Egypt, Sheikh Ali Gomaa – perhaps the world’s most respected Muslim scholar. He was interviewed by author and journalist Christopher Cook and translated by Coexist CEO Tarek Elgawhary. 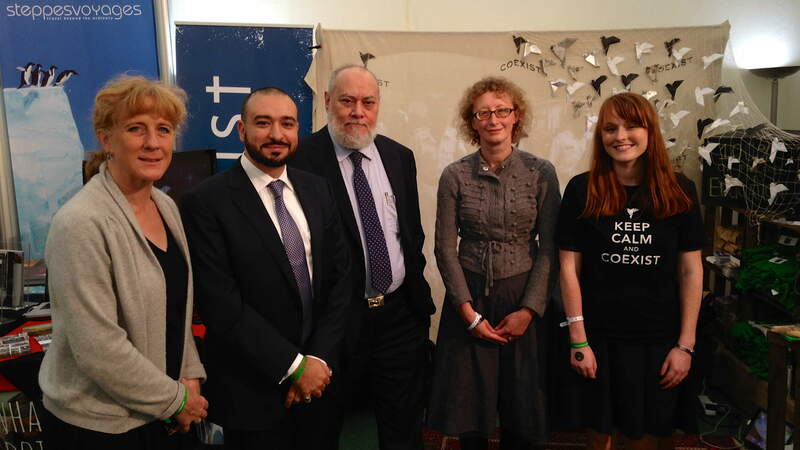 Before the event, Dr. Gomaa was interviewed by the BBC and afterwards signed copies of his book and visited the Coexist stall in the Festival pavilion. In the evening the team took Dr. Gomaa out for a meal where he was recognised by the Muslim manager of the restaurant and immediately special service was offered including a delicious leg of lamb.